Una riproduzione di un Sun Fast in navigazione, eseguito con tecnica pantoni/gessetti su letraset, dimensioni 50×70 disponibile originale. 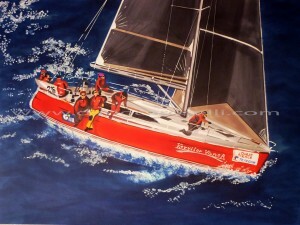 This entry was posted on martedì, aprile 3rd, 2012 at 09:30	and is filed under Boat Design. You can follow any responses to this entry through the RSS 2.0 feed.